All the crew arrived to RetroMadrid as one last weekend. Well, not as one. We arrived in waves. Finally, even The Goat itself were there to control us. And to look for new vict… friends, allies… whatever. There were a lot of people so we were able to show them the wonders of ‘A Rite from the Stars‘. Here we are! Ready for rumble! We missed some of the pals in this picture. They couldn’t come, but their spirit were with us. And Risin’ Goat, of course. I don’t know if I have missed anyone. In that case, just tell me. 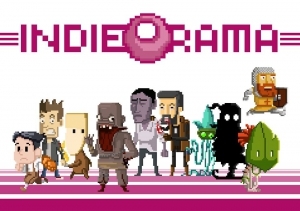 Indie industry is growing fast in Spain! Anyway, we met a lot of awesome people (from the industry, from the press, from their homes…). 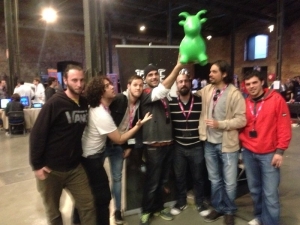 That made RetroMadrid a great experience. We have gathered feedback so we think ‘A Rite from the Stars‘ will be even better than we thought at first. However, in the end, you will be the ones to decide that so stay tuned! We will publish new material very soon.